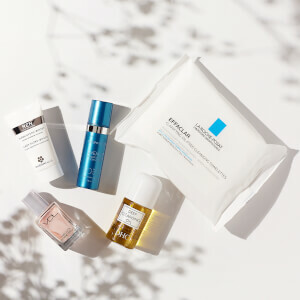 Elta MD Barrier Renewal Complex is clinically proven to moisturize the stratum corneum and improve dry, compromised skin after a single application within 24 hours. This advanced formula works to visibly minimize the appearance of fine lines and wrinkles while significantly improving skin texture, tone and pore size. A selected blend of ceramides and other essential lipids helps strengthen the barrier and restore its natural hydration system. Enzymes and vitamins minimize inflammation and promote skin cell turnover. Within 21 days, skin appears softer, smoother, healthier and more youthful. 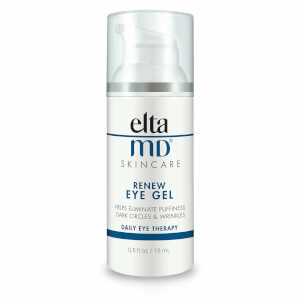 Elta MD Barrier Renewal Complex is fragrance-free, paraben-free, sensitivity-free and noncomedogenic. Ideal for dry, mature skin types. Apply morning and night to face, neck, and décolletage. For day-time use, follow with EltaMD sunscreen as directed by a physician. Squalane: Naturally-occurring lipid derived from olives protects against moisture loss, makes skin more elastic and pliant, thereby improving the barrier structure of the natural lipid film.Biotin: Enhances the overall organizational structure of the skin, increases flexibility and smoothness of skin by promoting the synthesis of lipids. Ceramides: Ceramide NP, Ceramide NS, Ceramide EOS, Ceramide EOP, Ceramide AP: Provides protection by correction and repair of membrane defects of the stratum corneum lipid barrier. Increases the water transport mechanism known as aquaporin-3, amplifying hydration. Enzymes: Ficin, Actinidin, Bromelain: Proteolytic enzyme blend minimizes inflammation and soothes dry, itchy and compromised skin. I wanted something light but more rich for nighttime and discovered this. I like it so much I used it in the morning too. My skin is more hydrated. I really like this moisturizer. I have sensitive skin and dry patches. It moisturizes very well. It's heavy enough but is not greasy. I've purchased two more bottles! 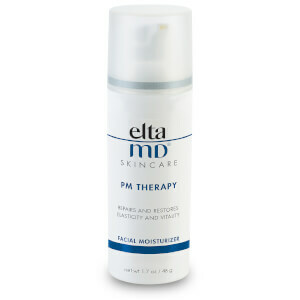 Another Holy Grail product by Elta MD. I have sensitive and allergic skin and this product instantly calms my skin. I have also used this product post-dermatologic procedures and it is remarkable in its capabilities. Been using this formula for two weeks and already see and feel a difference in tone and texture. Goes on smooth and absorbs well. Nice soothing moisturizer. Skin feels plumper and moisturized. I had a rough time with acne and lots of flaking and peeling and this has helped with the flaking. I have been using this product for over a month and I love how you get instant visible results in the reduction of fine lines and love the moisture that it adds to the skin. I've used many other similar products, but this one stands out as a must have for my daily skin care regimen. Highly Recommend! !